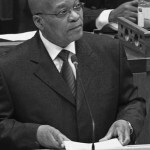 Pretoria – President Jacob Zuma has congratulated Charl Schwartzel on winning the US Masters Tournament against the best in the sporting world of golf at Augusta in the US at the weekend.In a statement on Monday, Zuma said it was a “a rare landmark victory and a feat that put South Africa back on the international golfing map following Trevor Immelman’s success in the same tournament in 2008, and Gary Player 50 years ago”. “This victory proves that South Africa continues to produce some of the best golfers in the world. 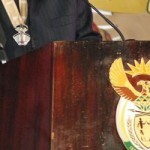 It is an extra special celebration as it happens on the 75th Anniversary of the tournament,” said Zuma. South Africa has been following the career of Charl Schwartzel with keen interest since he turned pro in 2002, at the age of 18.